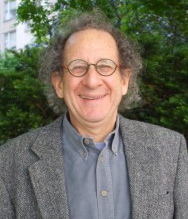 Mike Shatzkin’s career in publishing spans five decades; his time programming Digital Book World spans only five years. Shatzkin’s view is that the industry has changed about as much since DBW began as it did in all the decades he participated before DBW. His opening remarks will provide the context for this year’s conference by talking about how much has changed since the first one in 2010, which include: what tech skills publishers need, how Amazon has extended its reach and influence, the impact of diminishing bookstore shelf space, and even how the internal organization and processes within publishing houses have had to adjust as the very definition of what a book is and how publishers add value has been called into question. At that moment, I was partnered with the leadership of Tools of Change on a project called “StartwithXML” and we had an event coming up in London. I wasn’t looking for a reason to compete with them. But when I hit on the idea of creating a conference that was more focused than theirs was on the business challenges digital change poses for trade publishing, rather than a broader tech-and-publishing remit, which was followed by DBW forging an alliance with my Publishers Launch Conferences partner Michael Cader to be the primary media partner for the event, I felt we had a formula we could make work. And, now starting the fifth Digital Book World, bigger and, I think you’ll find, better than any of the prior four, it seems like we have. Although the trade publishing distinction is becoming less meaningful as the trade itself diminishes in importance, the focus on business challenges caused by technology rather than the technology itself remains a distinguishing feature of our event. At the first DBW, we had sessions on such low-tech topics as “How the Sales & Marketing Process is Changing”, “Reports from Publishers Working Their Verticals”, changes to the book contract that would be provoked by digital change, and fundamentals of an email list strategy. The discussion of all these topics requires an understanding of the dynamics of digital change, but very little grasp of technology itself. We think that’s how conversations among the publishing community should be focused. And I think you’ll find that our discussions over the next two days are consistent with that thinking, although the trade publishing business is operating in an entirely different ecosystem and facing very different challenges than it did at the time of DBW 2010. When we started DBW, our trade publishing focus was a clear distinction. With traditional publishers increasingly reliant on direct relationships with end consumers on the one hand and the new ease with which any publisher — or not-a-publisher — can rent the services necessary to reach those book-dedicated intermediaries that remain, it is not so much anymore. When we started DBW, sufficient tech skills in the publishing house to explore and understand getting into the ebook market was a real challenge. It really isn’t anymore. 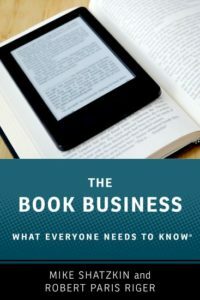 When we started DBW, Amazon was a dominant player in the early stages of fighting off challenges to its Kindle hegemony, with the Nook having just arrived on the scene and the iPad just about to. Now, with the help of the Department of Justice, Kindle has fended off that challenge, its market share has rebounded, and Amazon is probably more powerful than ever. When we started DBW, there were two big brick-and-mortar chains. There aren’t anymore. When we started DBW, Amazon controlled what was then a smaller online print marketplace, B&N was fighting it out with Borders, and — although there was a range in size — there were six publishers leading the way in trade that could be meaningfully lumped together. Today publishers face a single dominant etailer in Amazon, a single dominant retailer in Barnes & Noble, a single leading publisher comparable in size to its four biggest competitors combined, and far more competition in niches from non-publishers. All of these threaten the other publishers’ revenue and margins. When we started DBW, there was very little questioning of what a book actually was. At this conference, you’ll hear several speakers make a persuasive case that the book itself needs to be redefined. And when we started DBW, the interests of all trade book publishers, regardless of what kind of books they did or what audiences they served, were pretty similar. Now we have to wonder whether publishers of novels are really in the same business as publishers of art books or publishers of children’s picture books or publishers of how-to books. When we started DBW, the definitions and boundaries of editorial, marketing, and sales within a publishing house were clear. They aren’t anymore. Even the roles of production and manufacturing have been redefined. And when we started DBW, I was able to get a speaker from a major publishing house on a panel about ebook pricing. Now I think some of the big houses would leave the room to avoid being in the presence of such a discussion, let alone agree to participate in it! Although I personally question the conclusion some have reached from the statistics we have available that ebook sales are actually declining, there is little doubt that the rate of change, as measured by people switching their reading from print to digital, is slower than it was for most of the last five years. That doesn’t mean the disruption is over. Sales will continue to move online. Publishers will continue to be pressed to invent new ways to let readers know about their books. Publishers still have a lot to learn about digital marketing, managing what should already be massive consumer databases, and interacting directly with their readers. And there are still existential challenges that are unsolved conundrums. Amazon’s share of sales continues to grow and more and more players — including Amazon — roll out tools and services, increasing the temptation to authors to self-publish. Only immersive reading seems to “work” as ebooks at the same time that retail shelf space continues to decline, leading to inevitably unpleasant consequences for many publishers if those trends don’t stop. And the author-based self-publishing is now being augmented by entity-based self-publishing, not only competing with publishers but undermining their ability to get branded content for their own lists. Alongside the challenges, there are plenty of opportunities. Costs go down and market reach, particularly across national boundaries, goes up with digital distribution. In fact, publishers margins seem to have been improved in the opening stage of ebook takeup and the requirement for expensive overheads as diminished. Tools abound to mine data from social networks, so publishers can actually build meaningful consumer engagement without necessarily dealing with transactions and customer service. Promotional and revenue opportunities are opened up for shorter content that wouldn’t previously work as books and customized content which was inconceivable until very recently. Publishers are learning how to use dynamic pricing as a marketing tool. And though effective digital solutions for complex books and ways to make content as discoverable as a bookstore makes it are still unsolved, there is a lot of funded experimentation in those spaces, and many of those players are on our program here. The purpose of our event is to provide the information and insight publishers need to overcome the challenges and capitalize on the opportunities of the digital transformation. And now we’re going to get started doing exactly that.